Before I start with today’s IWSG post, I just want to ask you to check out yesterday’s post, if you haven’t yet. It’s all about making the bloggosphere a bit more awesome, but I need your help. Now, it’s time for another Insecure Writer’s Support Group post. 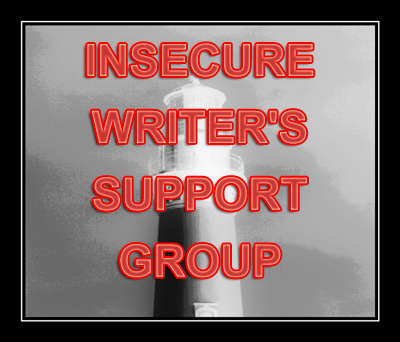 In case you don’t know, every first Wednesday of the month, a group of us writers (led by Ninja Captain Alex Cavanaugh) share our insecurities and encouragement. If you want to sign up or just read more posts, click here. My insecurity about queries actually vanished last night. Thanks to the amazing Erica Olson, I FINALLY think I understand how a query should be constructed. Now, my insecurity turns to the synopsis. See, I wrote one, and I used to think it’s pretty good. Except I now have a brilliant query letter that goes with it. So it needs to be better. Still, thanks to you amazing guys who kept giving me tips, advice and links, I am learning. I just hope I have a good synopsis by the end of next week, because I want to start sending those suckers out again. Anyone else querying/writing synopses? How is it going for you? As I mentioned before, I’m taking part in NaNoWriMo this year. Because I actually want to continue querying through November, I decided to give Doorways one last look-over. The way I see it, if the story is as polished as it will get, won’t have to worry about anything except copy/pasting into the query. I plan to do the same with my query letter. Another version will be coming out, although I don’t know what it will look like yet. All it know is it better be better than any of the previous ones. Lots and lots of Query Shark readings will ensue. Then there’s another monster lurking in the querying waters: the dreaded synopsis. About 80% of my expanded agent list has at least a 1 page synopsis as part of their submission requirements. I don’t have a CLUE how to write a synopsis. Any good query and synopsis links for me?